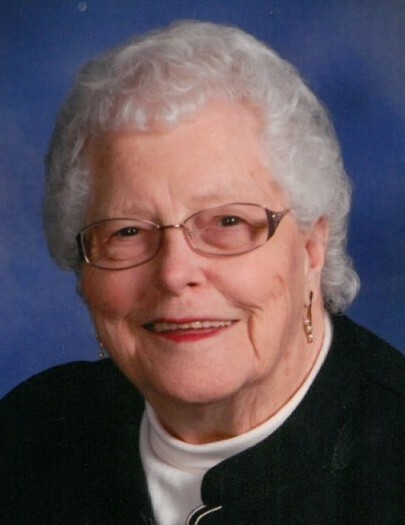 Norma Jean (Torrence) McMillen, age 84, of Belle Center, Ohio passed away at 6:10 A.M. Saturday, January 19, 2019 at Vancrest of Ada. She was born in Belle Center October 18, 1934, to the late Stanley Earl and Mary Alene (Cooper) Torrence. Norma was also preceded in death by her brother, Earl Torrence; a sister, Margaret Nabors; a daughter-in-law, Connie Halsell McMillen; brothers-in-law, Russel D. Calvin and Paul Nabors and a nephew, Russell T. Calvin. Norma married Donald McMillen Jr. September 11, 1954, and divorced after twenty three years of marriage. Norma and Donald remained friends and he later married the former Sandie (Klingler) Williams. She is also survived by her children, Dwight “Skip” (Sally) McMillen of Frankfort, Kansas, David (Rhonda) McMillen of Rushsylvania, Ohio, Diane (Howard “Frog”) Vernon of Belle Center, Daniel (Regina) McMillen of Belle Center, and Douglas (Mike Crider) McMillen of Belle Center; grandchildren, Jessica (Adam) Bergman, Zack (Elissa) McMillen, Derek (Christine) McMillen, Gerri Misty Ferrel, Amber Price, Dan W. (Valerie Houck) McMillen, and Kassie (Bob Burkhammer) McMillen; ten great grandchildren; a sister, Donna Calvin; a special brother, Leland (Mary Ruth) Tuttle; her sister-in-law, Dee Torrence of Huntsville, Ohio and several nieces and nephews. Norma was a member of the Belle Center Presbyterian Church, the Eastern Star, Fides Circle Kings Daughters, Adarian Society and the “Fun Bunch” Bible Study. She loved crafts, tole painting, crocheting, and writing, and especially loved being around her family and friends. Norma survived breast cancer in 2002 and Non-Hodgkin’s Lymphoma in 2012, but it was a hip replacement that Norma was unable to survive. All who knew and loved Norma will miss her. Visitation will be held Wednesday, January 23, 2019, from 4 to 7 P.M. at the Eichholtz Daring & Sanford Funeral Home in Belle Center. Chris Conley, Pastor Lynn Bova, and Pastor Kathy Clark will officiate the funeral service at 10:30 A.M. Thursday, January 24, 2019 at the funeral home. Burial will follow the funeral service at the Fairview Cemetery in Belle Center.